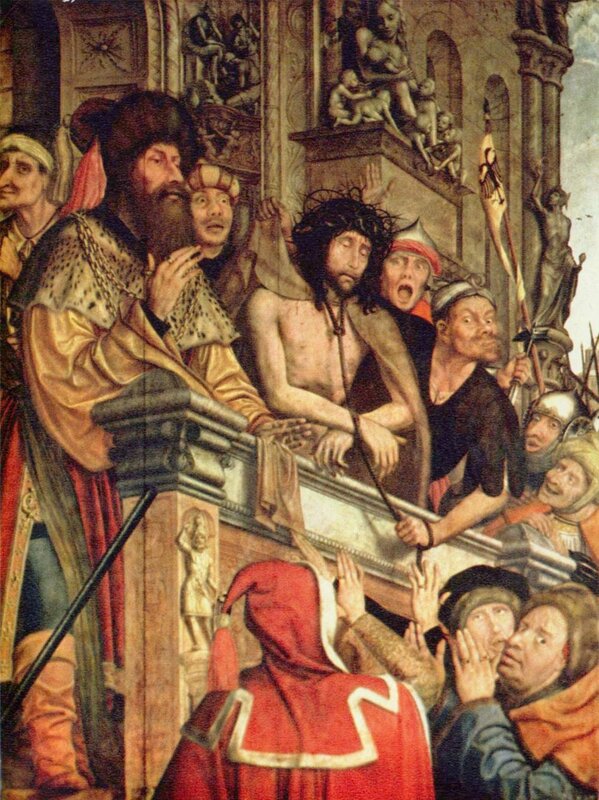 Again, unlike the Jesus of Matthew, Mark, and Luke, John’s Jesus was quite verbose at his encounter with Pilate. He neither admitted nor denied the accusations against him. How could he? They were human accusations about human-made doctrines. Jesus was God being held to human standards. He could not win this human fight as God. But Jesus knew that this was going to be the outcome. He had enough wisdom to talk his way out of this, but he didn’t try. He had enough followers to fight his way out of this, but he didn’t ask them to. Jesus knew that surrendering to the unstoppable wave of hatred and spite would have far more lasting effects than fighting. He came to bring God’s peace to this world. Fighting would be contrary to his entire message. He spoke with wisdom whenever the situation called for wisdom. Here, his refusal to beg for his life was wisdom. Surrender is not in our nature. We have an instinct for fight or flight. Surrender requires an internal strength and self-confidence. Especially when surrender ends in the way Jesus’ did. But sometimes surrender is the best way to victory. We can surrender our self-interest in favor of the interests of others. We can surrender control in favor of healing (think addiction). We can surrender over-achieving and impossible standards in favor of healthy work-life balance. There are many ways we can surrender so that God can take over. In the end, Jesus’ surrender conquered sin and death, and we are blessed by it forever.